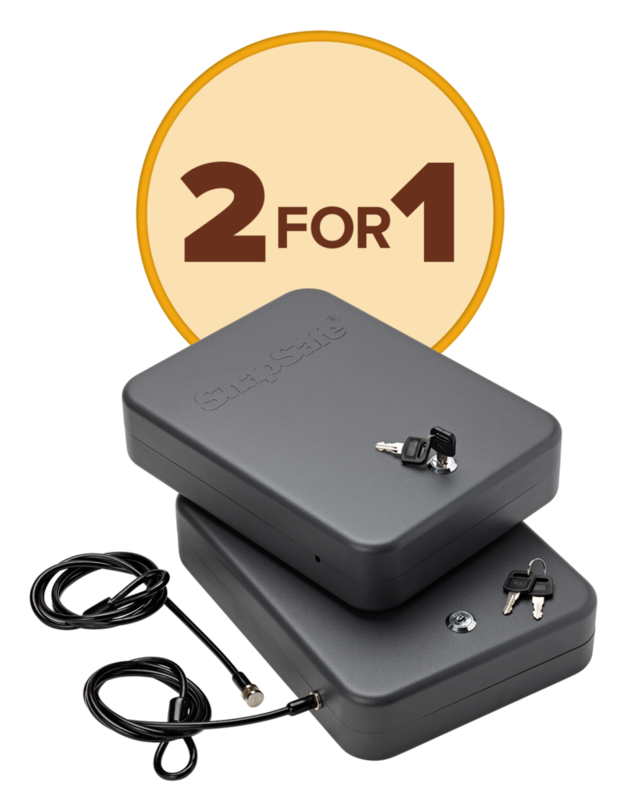 Get a Keyed-Alike 2-pack for the price of one Lock Box XL! The 2-pack comes with four keys that are all keyed alike. Protect handguns, passports, heirlooms and more! Choose the Lock Box XL Keyed-Alike 2-pack and pay only $29.99 (Regularly $59.99).